The latest news, company announcements, DGX events and industry-position posts. How much does it cost to ship LCL to Guam or Saipan? There are six major items to consider in determining your overall cost to ship Less than Container Load (LCL) freight shipments to either Guam or Saipan. Packaging. 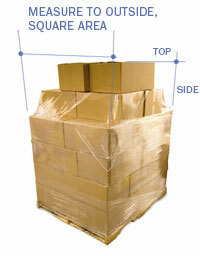 Always package your shipments/product to minimize the total space used. LCL shipments are billed based on the space (cubic feet) they use. Saving space with your packaging or wrapping/crating, will determine how much it costs. For example, if you have a small broom you’re shipping, unscrew the handle and save the space by shipping it alongside the broom itself, instead of connected to it. Once you’ve minimized your packaging, however, don’t lose sight of proper wrapping and palletizing to avoid potential damage issues as your shipment is traveling thousands of miles in (sometimes) very rough seas. Commodity Being Shipped. Higher value goods will usually cost more than items of lower value. For instance, food products will cost less to ship than fine furniture based on the risk of damage. Items with a low damage factor will cost less than items that might normally get damaged easily. If you can find a freight forwarder to ship a fragile commodity (which usually means new, still in the packaging, not antique or glass, or other items of high value), factor in the cost of insurance. If the cargo is irreplaceable, you will want to pay more and have a crating expert package it. In the end, it’ll cost you less to get it there in one piece than in many. Measurement of the Freight. Ensure the dimensions of your shipment are accurate and complete. If you obtain a quote based on inaccurate or wrong dimensions, then the actual freight charges could cost you more. Your dimensions should include the highest point, the widest point and longest point of your shipment if palletized or in individual boxes. Cubic feet are computed by multiplying the length of the freight in inches by the height of the freight in inches by the width of the freight in inches. Those total inches then get divided by 1,728 inches to determine the total cubic feet of what you’re measuring. If you have multiple pallets, boxes or crates, this process needs to be followed for each pallet, box or crate and then all the cubic feet totaled. This then determines the size of your shipment for pricing purposes. If you palletize the freight, then measure the freight once nested on the pallet, using the same measurement process outlined above. Visit our FAQ #6 for detailed information on how to measure your shipment. Special Handling Considerations. 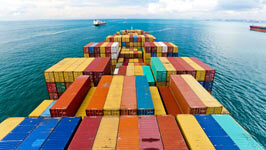 Determine if your shipment will require special handling or delivery needs at the destination. Something requiring a residential delivery, or to a place of business with an inside delivery, will usually cost more than something delivered curbside. If you need trash taken away after your delivery, it’ll probably cost more if there’s a large volume. Shipping Company Dependability. Ensure you are working with a company such as DGX-Dependable Global Express, who is reliable and an expert at shipping to Guam or Saipan. The cheapest quote isn’t always the least expensive by the time your cargo has arrived at its destination. The Ocean Carrier the Shipping Company Selects to Move Your Shipment. There are currently two ocean carriers moving shipments from the United States to Guam and Saipan. Matson Navigation Company (Matson) moves Guam and Saipan shipments/containers into Hawaii (from Seattle, Oakland and Los Angeles and intermodally). From Los Angeles, the container will be stowed on the vessel to go directly to Guam so it is not unloaded from one vessel and reloaded onto a second vessel in Hawaii. Oakland and the Pacific Northwest Guam containers get taken off the vessel in Hawaii and reloaded onto the vessel originally departing out of Los Angeles. The transit time out of Los Angeles to Guam via Matson is 11 days. American President Lines (APL) takes the containers to Yokohama, Japan, where they unload the containers off that vessel and a few days later reload them onto a feeder vessel into Guam and Saipan. Transit times are from Los Angeles and vary from 21 to 30 days, assuming all goes well and the container does have documentation necessary to transit the foreign port. DGX suggests not using APL due to their inconsistent transit times, to ensure that customers will know exactly when their cargo will arrive and keeping DGX a Dependable choice. If your freight shipment is time-sensitive and needs to go to Guam quickly or you’re worried about damaging the contents of the container, we recommend Matson as your choice. If it’s inventory replenishment items that can withstand loading and unloading through the various ports, and you can build the longer transit times into your logistical needs, we suggest APL. But be sure your products can be stowed and then re-handled in and out of containers through the various ports without damage. APL may work because the rates are less expensive. If your forwarder is using APL to Guam or Saipan for your LCL shipment, consider DGX for more consistent transit times because we use Matson most often. As an LCL freight shipping company, DGX wants the container handling minimized so there is less chance for mishandling or damage. To find out more about DGX and Dependable Supply Chain Services, please contact us today. With nearly 40 years in the shipping business, we can certainly help you in navigating these waters to get the best value and service for your goods.